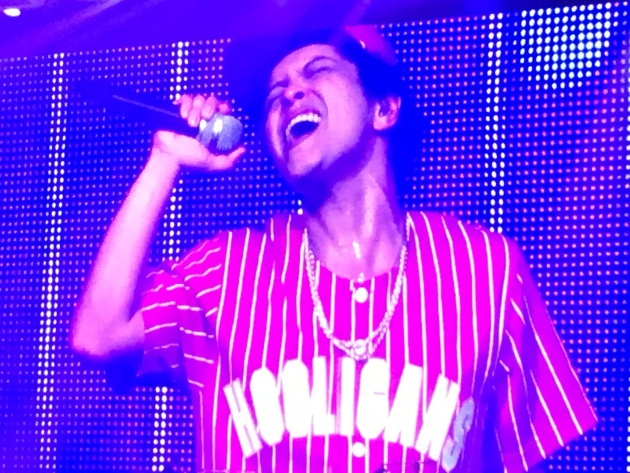 Bruno Mars apparently did consider doing a Prince tribute at Saturday’s concert in St. Paul, after all. At pre-concert sound check at Xcel Energy Center, Mars and the Hooligans, his band, did two or three run-throughs of Prince’s “Let’s Go Crazy.” Mars even practiced the closing guitar riff and checked sound levels on the recorded spoken introduction featuring Prince’s own voice. But apparently Mars, who had visited Paisley Park earlier on Saturday, got cold feet. What with Prince’s sibs Omarr Baker and Tyka Nelson in the house. Instead, Bruno just gave the standard show he’s been offering throughout the world on his 24K Magic Tour.